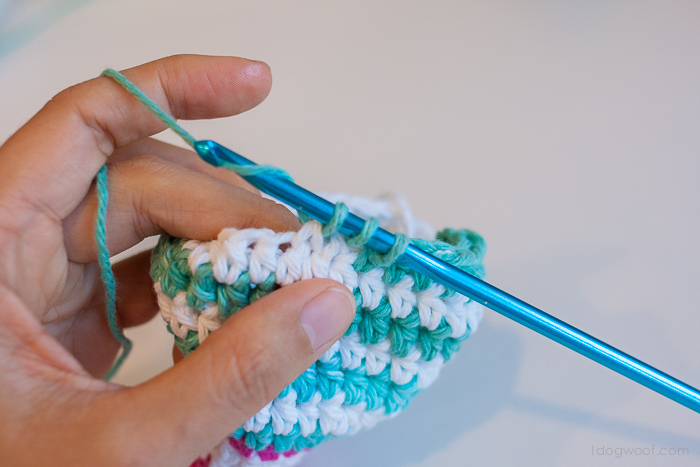 Here’s a quick tutorial for today, an invisible half double crochet decrease. 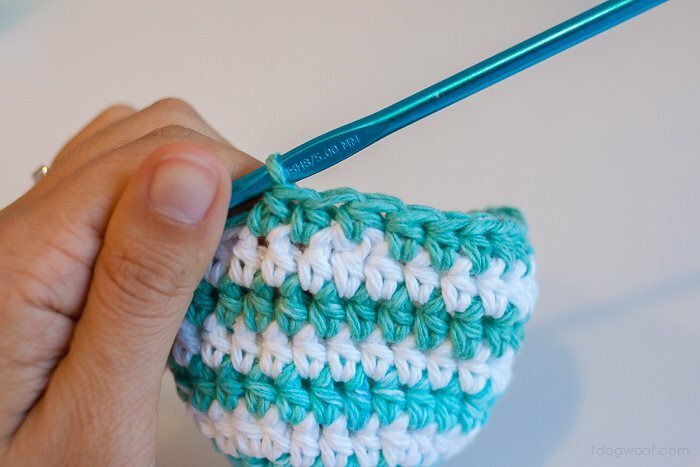 The invisible decreasing single crochet is something I learned from Planet June, and it’s pretty ingenious, probably because it’s so simple. 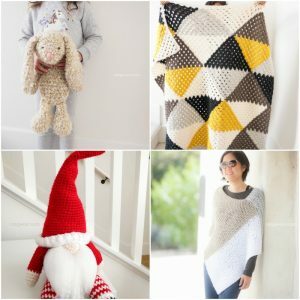 Instead of inserting your hook through both loops to create the decreasing stitch, you only insert your hook through the front loop of the 2 stitches you want to join together (decreasing into 1 stitch). Then, when you yarn over and pull the loop through, you finish like a normal single crochet. Crazy but so smart! 2. 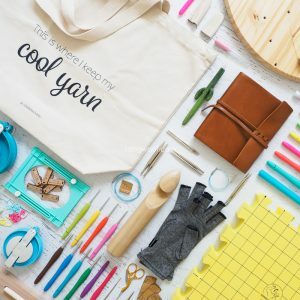 Insert your hook through the front loop of the next stitch, and then insert your hook through the front loop of the next stitch, without yarning over again. You should have 4 loops on your hook right now. 4. Pull the yarn through the first 2 loops (they are the front loops). 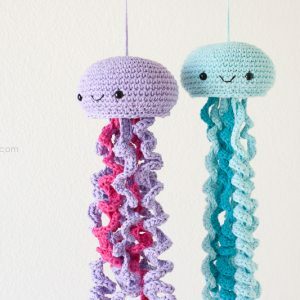 Now you should have 3 loops on your hook. 6. 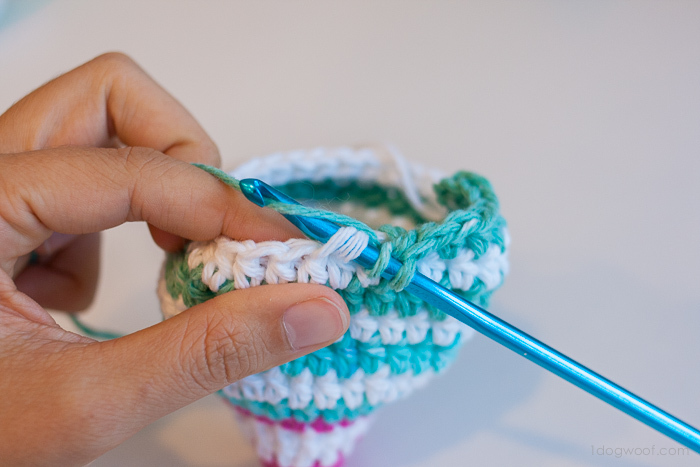 Pull the yarn through all 3 loops on your hook to complete the half double crochet stitch. Looks awesome right? I really only use the invisible decrease for both the single and half double crochet in any of my work these days. Now you can see why! Thank you so much for sharing this brilliant and might I add so incredibly simple version of HDC2TOG. I have always found that the traditional version looks so bulky but this…well it just looks like it was made to fit seamlessly. I can’t see myself using the traditional method anymore. This is definitely the BOMB!